This CBT module addresses all the above requirements and is a very effective onboard training and information package to cover the requirements for training and information of crew being involved in Ballast Water Management. Được sửa bởi Bố già ngày Wed Jan 18, 2017 9:04 am; sửa lần 2. * Introduction: This module provides an introduction to the principles of Protection and Indemnity insurance and the risks it covers. It outlines the way in which a typical P&I Association works and its relationship with the owners / operators of a ship and with the ship’s Master. Được sửa bởi Bố già ngày Wed Jan 18, 2017 9:05 am; sửa lần 2.
which claims are processed and the part that a ship’s Master and other officers play in that process. * Introduction: The use of incorrect lubrication oil for the main and auxiliary machinery can be very expensive. An understanding of lubrication oil and its properties has today become an important part of being an engineer. Seagull and Shell Marine have developed a CBT covering basic lubrication principles, properties of lubrication oil, and treatment and storing of lubricating oils. Được sửa bởi Bố già ngày Wed Jan 18, 2017 9:06 am; sửa lần 2. * Introduction: The purpose of this training programme is to make crewmembers familiar with modern Emergency Towing Systems (ETS), its purpose, location on board and how to operate the system in a safe and efficient way. Another main topic in this course is dealing with proper maintenance and the importance of following recommended maintenance intervals. * Introduction: Liquid cargoes can be very hazardous if it is not handled correctly and suitable protective equipment is used. Seagull AS and Vestfold College have developed a CBT module covering safety aspects and properties for oil products, liquefied gasses and chemicals. Được sửa bởi Bố già ngày Wed Jan 18, 2017 9:07 am; sửa lần 2. * Introduction: The purpose of this training programme is to make cadets and junior officers understand the basic principles and importance of ship stability. Another goal of this programme is to enable junior officers to recognise good or insufficient stability, and assist in practical precautions to prevent insufficient stability. This training programme may also act as a tool for senior officers to refresh their comprehension of the principle of stability. * Introduction: The Digital Governor System is a complete package that fulfils all tasks for governing the speed of low-speed, long- stroke diesel engines. Seagull has developed a CBT covering the description of its’ functions, operating information and the maintenance of the digital governor system. * Course topics: The main purpose of the DGS 8800e system is to control the position of the engine fuel servo, in order to maintain an engine speed equal to a reference setting. The system is composed of two separate and self- contained subsystems, the speed regulating function, and the fuel actuator function. Được sửa bởi Bố già ngày Wed Jan 18, 2017 9:08 am; sửa lần 2. * Introduction: The purpose of this training course is to prepare ship personnel on how to execute first aid in a safe and efficient manner. This course will focus primarily upon how first aid techniques work. It also provides valuable knowledge about how to evaluate and treat injured and sick persons. Various types of minor as well as more serious injuries and illnesses are described and explained in a straight forward manner. Được sửa bởi Bố già ngày Wed Jan 18, 2017 9:09 am; sửa lần 2. Được sửa bởi Bố già ngày Wed Jan 18, 2017 9:10 am; sửa lần 2. * Introduction: This training module aims to develop the student’s ability in professional and conversational English in a common shipboard situation. It is built around an actual port movement between two berths and features all the typical instructions and exchanges used by the principal personnel involved. The names of all the common items of bridge and manoeuvring equipment are integrated into the dialogue and an innovative instant translation facility is included for those students with Russian and Chinese as a primary language. The module features a substantial non-scoring practise session and a comprehensive assessment. Được sửa bởi Bố già ngày Wed Jan 18, 2017 9:11 am; sửa lần 2. * Introduction: A modern marine electrical plant is a very complex system that demands trained personnel to ensure safe and economical operation. This CBT module will give understanding of basic principle of synchronous generators. This module will also cover paralleling of generators, the main switchboard, and the power management system. - Synchronizing the "Second Generator"
Được sửa bởi Bố già ngày Wed Jan 18, 2017 9:12 am; sửa lần 2. 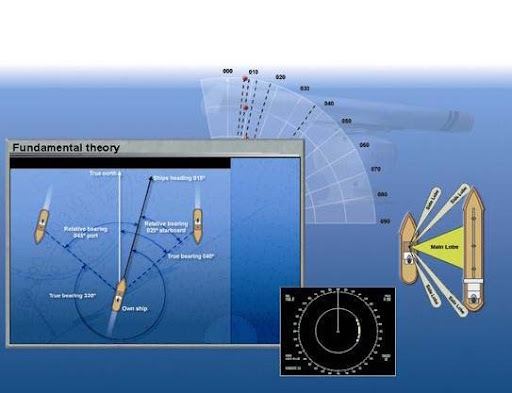 * Introduction: This CBT will familiarize the student with the latest and most common Bilge water separators. It will also introduce the student to the relevant regulations concerning such systems. 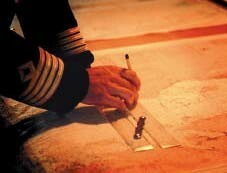 The student will also learn how to correctly fill in the Oil Record book. As the shipping industry has become more and more environmentally conscious, due to this there has been more focus on correct use and maintenance of the bilge water separator. on-board container ship scenarios in respect of the loading, stowage and lashing materials of containers. container operations and how these units are secured on board. .
* Introduction: In order to operate the auxiliary boiler plant at a safe and efficient way it is necessary to properly understand all the components in a steam system. Seagull has developed a CBT covering the auxiliary boiler plant, the control systems and safety precautions. Được sửa bởi Bố già ngày Wed Jan 18, 2017 9:13 am; sửa lần 2. - To improve the student’s ability to monitor, assess and analyse fuel combustion efficiency in relation to the engine performance and capacity. - To enable the student to be able to identify and describe possible problems related to the fuel injection system. phases and give them the ability to describe them. - Enable the student to analyse and describe the information given on the P/V diagram. * Introduction: It is essential that personnel using gas measurement equipment onboard ship are aware of the hazards presented by enclosed space entry and also that they are able to interpret the information presented in a flammability diagram including the upper and lower explosive limits. Seagull AS has developed this CBT module to help familiarize onboard personnel with the use, maintenance and calibration of the different types of gas measurement equipment likely to be found onboard the ship. The module also reviews the requirements for entry into enclosed spaces as well as the flammability diagram and its use in onboard operations. Được sửa bởi Bố già ngày Wed Jan 18, 2017 9:13 am; sửa lần 3. * Introduction: This module covers the minimum required theoretical knowledge for radar operators and is made in accordance with IMO Model Course 1.07. 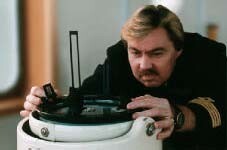 The module is a natural part of study before entering the ARPA module. 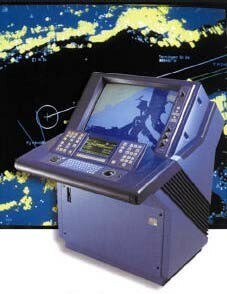 The module provides an in-depth description of radar features and limitations. Limitations caused by technical design as well as limitations caused by atmospheric disturbances are described in detail. Được sửa bởi Bố già ngày Wed Jan 18, 2017 9:14 am; sửa lần 3. * Introduction: This CBT module will provide the students with an understanding of the basic theory of ARPA. It also includes a review of manual plotting principles and a list of the new navigational symbols that are to be used on all navigational displays installed on or after 1 July 2008 (ARPA, ECDIS, AIS). Since this CBT module is not an ARPA simulator, it does not comply with the requirements set for ARPA training. However, after successful completion of this CBT, it will refresh your ARPA knowledge or prepare you for the required simulator course complying with the IMO requirements for ARPA training and certification. Được sửa bởi Bố già ngày Wed Jan 18, 2017 9:14 am; sửa lần 2. * Introduction: This module provides a general introduction to maritime navigation, its history, chart work, navigation instruments, coastal as well as deep-sea navigation principles. Được sửa bởi Bố già ngày Wed Jan 18, 2017 9:43 am; sửa lần 2. * Introduction: This module discusses the origins of the IMDG Code and overviews its layout. 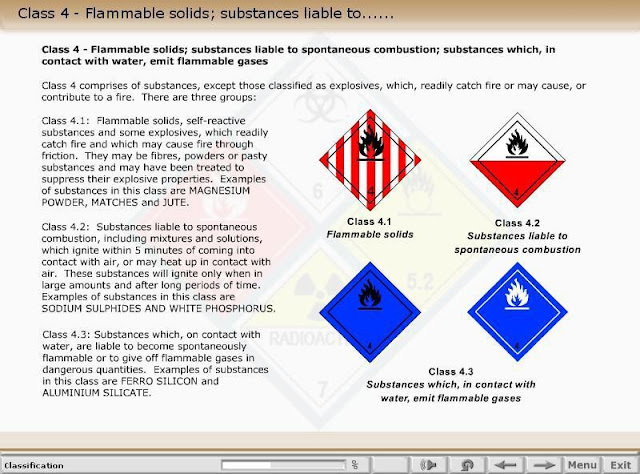 It explains the classification of dangerous goods, safe packaging, the meaning of markings and labels, stowage principles and emergency procedures as contained in the Code and its Supplement. Được sửa bởi Bố già ngày Wed Jan 18, 2017 9:44 am; sửa lần 2.
of the COW equipment in order to obtain the requisite high safety standard. Được sửa bởi Bố già ngày Wed Jan 18, 2017 9:45 am; sửa lần 2.